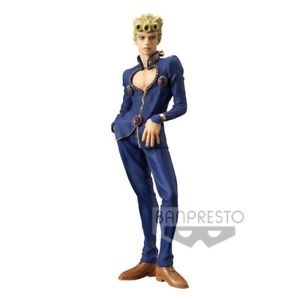 Giorno Giovanna from JOJO'S BIZARRE ADVENTURE GOLDEN WIND by Banpresto!! Safety Warning:This Product may be intended for Adult Collectors. It may contain sharp points, small parts that are choking hazards, and other elements that are not suitable for children under 14 years of age. Product may differ from photo.